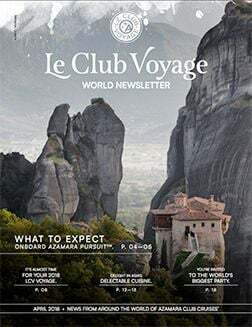 August has been a big month in an even bigger year for Azamara, and our latest Le Club Voyage World Newsletter is live with the details. Inside, you’ll read all about Pursuit’s maiden voyage from the crew’s POV, your new LCV Team (yes, we said team), South America’s signature dishes, the history of the world’s modern wonders, and so much more. 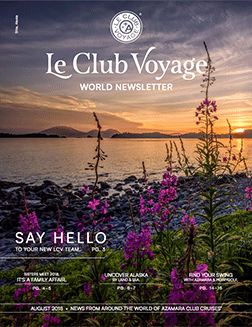 Summertime has officially arrived, and our June 2018 Le Club Voyage World Newsletter is live with all the news, insights, and inspiration you need to enjoy the sunny season to its full potential. 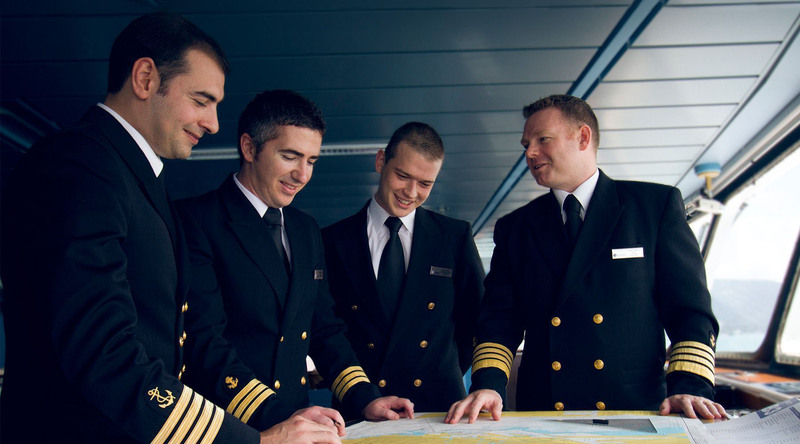 Inside, you’ll meet two new Azamara Captains, learn about South America’s holiday traditions, discover why Europe is a must-visit destination for wine lovers, relive the wonder of our 2018 LCV Voyage, and so much more. Looking to experience the world like an insider this spring and summer? You’ve come to the right place. 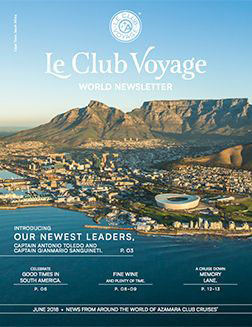 Our April 2018 Le Club Voyage World Newsletter is live and it has exactly what you need to get away and explore—our way. Inside, you’ll learn about the features and refinements that make Azamara Pursuit℠ unique, delicious cuisine you have to try should you find yourself in Asia, the world’s biggest party in Brazil, and so much more.